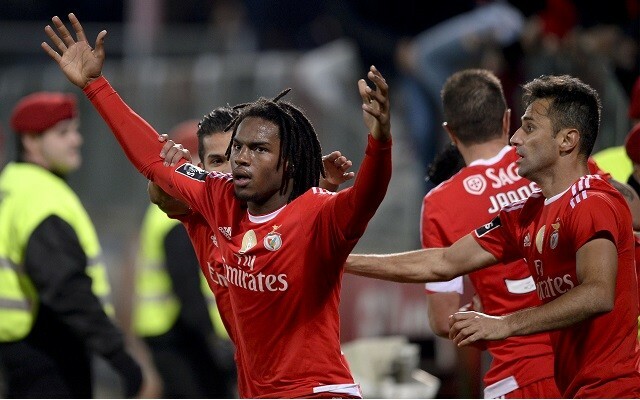 Manchester United are now clear favourites to sign Benfica’s Renato Sanches, according to reports. The Manchester Evening News noted on Monday evening that the Red Devils’ vice chairman Ed Woodward has been working with the Portuguese giants as he attempts to close the deal to sign the teenage sensation. Clearly, Woodward’s endeavours are proving effective, with MEN noting that the player could move for a potential fee of around £40 million. Should Sanches move to Old Trafford for such a fee, he would represent an immense gamble, having only recently taken his maiden steps in the senior game. However, the attacking talent, who has already been capped by Portugal, has already demonstrated in the Primeira League that he has the talent to go a long way in the sport. The 18-year-old, who is already a creative and a goal-scoring threat for Benfica, has scored twice in 22 outings for the domestic heavyweights this term, including a marvellous late effort in a 3-0 victory over Academica in December.